Interactive map of Crete with the Sfakia region in red. You can zoom in and out, and get directions. The Municipality of Sfakia has the biggest area of any other municipality in Crete. The largest part is taken by nature, but as you see there are several villages. In the old days 40,000 Sfakians have lived there, but now there are only about 1900 people, living in 468 km². 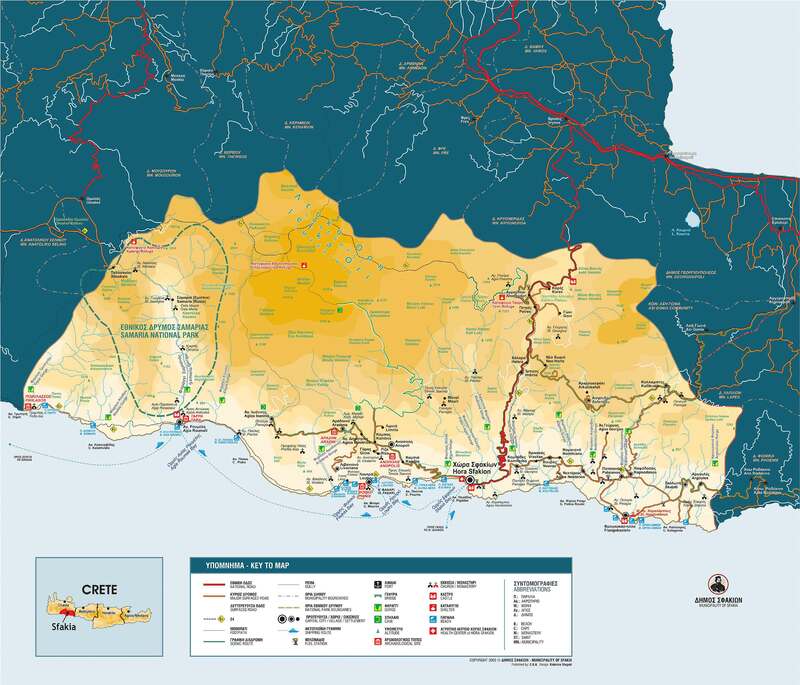 * According to the 2011 census, the municipality now has 1,889 inhabitants. A small fishing village, 2 km from the end of the Samaria Gorge at the Libyan Sea. The village has several taverns and rent rooms as a transit point for visitors of the Samaria Gorge. There are ferry boat connections to the West, to Sougia and Paleochora, and to the East, to Loutro and Chora Sfakion. Agia Roumeli cannot be reached directly by car. This is a small, sunwashed resort with very few residents, built next to an exquisite beach with crystal clear waters. Its modern name comes from the church of Aghia Roumeli, which is built on the older, Roman temple of Agia Roumilia or Roumina. At the site of the contemporary village it is believed that there was the ancient city Taras, the ruins of which have been dated to the 5th century B.C. As proven by the excavations, the city of Taras was of great economic importance to the area, having its own coins, and as it is proven by the temple of Tarsios Apollo or Artemis, which was located at the exit of the gorge, this was also an important religious center during antiquity. Today, at the site of the ancient temple, you will spot the church of Panagia (the Holy Mother), exhibiting worthwhile mosaics of the 15th century. From Agia Roumeli, at a walking distance of about an hour, you will find the small byzantine church of Agios Pavlos, of which is said that the Apostle Paul came to teach there. The people of the uphill Agios Giorgos have moved to a new downhill village in the 1979ies, that is better accessible; see Agios Nektarios. The village is locally also known by the name Kolokasia, derived from artichoke. At the end of the road from Chora Sfakion to Anopoli and Aradena lies the small village of Agios Ioannis, with nowadays less than 10 inhabitants. It has a beautiful church, Agia Panagia, with very old frescoes. Around are several impressively large caves. Small village at the end of the Asfendou Gorge. 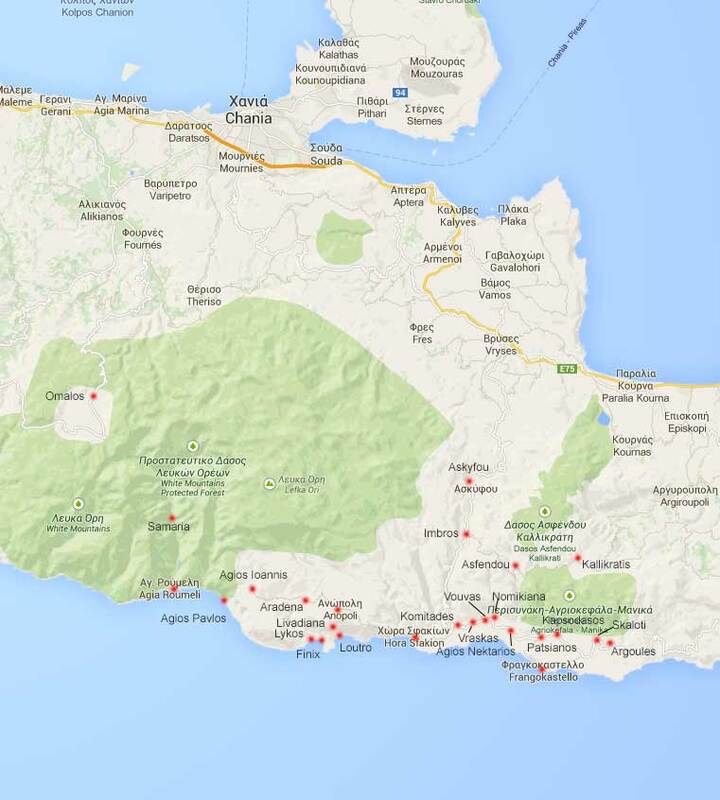 On many maps it shows only the name of Agios Giorgos. 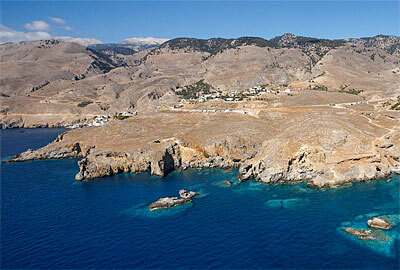 The village is named after the divine Nektarios of Aegina, one of the most widely known of Greek Orthodox Saints. Originally being the summer village of Loutro, the history of Anopoli goes back for many centuries, being one of the 100 cities of the archaeic Crete, having its own currency. 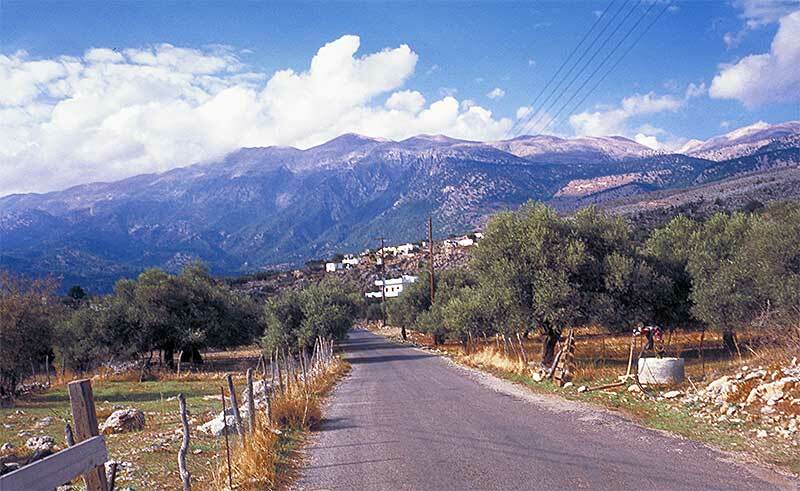 Anopoli lies spread around an upland plain at the foot of the White Mountains, aprox. 650 m above sea level. It is connected by a relatively new asphalt road to Chora Sfakion. The road is being built in the other direction towards Agios Ioannis, passing the Aradena Gorge by a Bailey bridge. 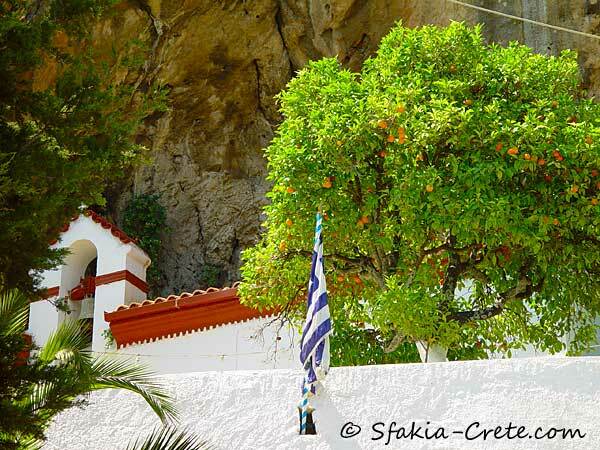 The famous freedom fighter of the revolution against the Turks, Daskalogiannis, was born here. He has a statue on the market square. From there you can follow the mountain path uphill to the Church of Agia Katharini, from where you have an excellent view of the whole southwest coast. Anopoli has some rent rooms and tavernas and is quite 'off the beaten path'. Here you can meet several shepherds and enjoy their home made fresh sheep and goat cheese (graviera). Anopoli is surrounded by the hamlets Kambiá, Ríza, Gíros, Agios Dimítris, Kámbos and Limniá. Since the early seventies almost abandoned hamlet, at the edge of the impressive Aradena Gorge. Until 1986 the village could only be reached by descending to the bottom of the gorge and ascending on the other side. Since then there is a Bailey bridge crossing the gorge. The bridge is 84 m. long and crosses the gorge 138 m. above the gorge's floor. It can endure 30 tons passing. During the summer bungee jumping is organised from the bridge: the second highest bridge bungee jump in Europe. Right on the rim of the gorge is an impressive Byzantine church with a high dome. Inside there are old frescoes and around you can see some traces of ancient Aradin, from whose stones the church is said to be built. Askyfou is built in a small plateau situated between the high mountains of Kastro and Fanari and Horefies, at an altitude of 750 metres. It has about 450 inhabitants. It contains some smaller hamlets, like Kares, Amoudari, Goni, Petres, Kosto and Stravohari. The name Askyfou is said to derive from the ancient word Skifos, which means cup, as the circular plain looks like one. It is full of snow in winter and all green in Spring. The inhabitants are occupied with raising live stock, farming (grains, cereals, potatoes, grape), cheese and wine making and producing the Cretan liquor Raki (Sighoudia). There are many wallnut trees in the area, as well as fruit trees and honey flowers. Try the wallnuts, fruits and honey from here, it's the best you ever had! There are several tavernas and rent rooms. In the village of Kares is a private War Museum. 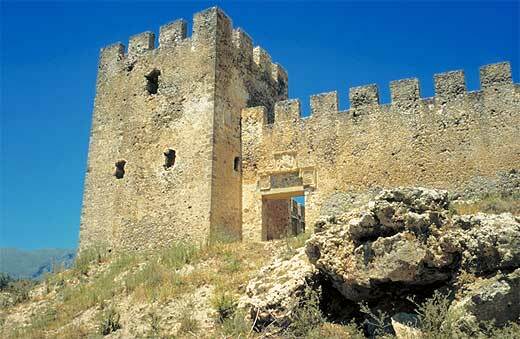 To the west of the plain, high up on some hills are the ruins of two Turkish castles. On the way from Kares to Amoudari you can see the grand church dedicated to the two Sfakian saints Manolis and Ioannis. Over the years there have been many war battles in Askifou, since it is the gateway to the south coast. The Turks, the Egyptians and the Germans have fought here against the stubborn inhabitants, many of which lost their lifes. There are several monuments around the plain to remember these events. A little before the village of Imbros to the east a small intersection ascends a concrete road up to the peak of Akones, with the old telecommunication installations for connections between Crete and Africa. From here you have a view to the north, where you van see the Cretan Sea and to the south, where you see the Libyan Sea. Before reaching the peak, the road continues to the village of Asfendou, built on a small and evergreen plain, at an altitude of 770 metres, 8 km. from Imbros. It has 40 houses and during summer only a few farmers make their way up here. East of the village, in a small cave, many beautiful frescoes have been discovered. If you continue to the east for 6 km you reach the village of Kallikratis. In Asfendou you can also visit the Falaggari cave, which is very deep and contains a water basin. You can walk down the Asfendou gorge towards Agios Giorgos/ Agios Nektarios, but this is a quite difficult walk. The gorge itself will take you about 90 minutes, from 770 metres to 180 metres, so very steep. This is the capital of the Sfakia district. After the elections of October 1998 all the Sfakian villages now have one mayor, who resides in Chora Sfakion's little town hall. The village is actually split in 2 parts: the one around the old harbour, with most hotels and restaurants, and the part on the slopes of the east mountain, where most inhabitants have their houses. • Georgítsi, to the other side of the Papa Lagos gorge, above the present village. This part, that originally was the inhabited area, uphill for protection against pirates, nowadays is abandoned. The village has a square for the buses, carrying all tourists coming back with the ferries from Samaria Gorge. They pass the village on the outside, so the quiet atmosphere is not destroyed. All ferries start and end at Chora Sfakion. There are regular bus connections to Vryses and Chania, and to Frangokastello and sometimes Plakias. Most people in the village are busy serving the tourists, others are fishers and shepherds. The village is surrounded by beaches. The new harbour gives shelter to the ferries, and to fishing boats and private boats, also boats from tourists. Tiny coastal village at the west side of the Loutro peninsula. Here ends the road from Sfakia to Anopoli and Aradena, which is decently surfaced asphalt, very twisty: it requires careful driving. Between Aradena and Livaniana it is unsurfaced, narrow, twisting, hard on tires. The whole trip will take you about an hour. It took its name from the Venetian castle built there in 1371. Here you find several tavernas, shops and apartments. Frangokastello lies in a natural plain boarding the sea, with many olive trees. Just down the fortress there is a nice sandy beach, with beds and umbrellas. The sea water stays knee deep for about 100 meters, so a nice place for children to play. In 1828 a celebrated battle for independence was fought against the Turks at Frangokastello. Hundreds of Sfakiots led by Hadzi Michali Daliani, a Greek adventurer attempting to spread the War of Independence from the mainland to Crete. Instead of hiding in the mountains, as most rebels did in this area, he stayed in the castle with his soldiers. Unfortunately, they were massacred and their martyrdom became legendary. Locals will claim that to this day, on or around the 17th of May, the ghosts of Daliani and his army march from the castle in the soft light of dawn. They are called drossoulites, or dew shadows. Small village with some tavernas and rent rooms. From here you can start descending the beautiful Imbros Gorge, ending in Komitades (about two hours), or start some mountain biking, towards Akones peak - Asfendou - Kallikratis - Assigonia. 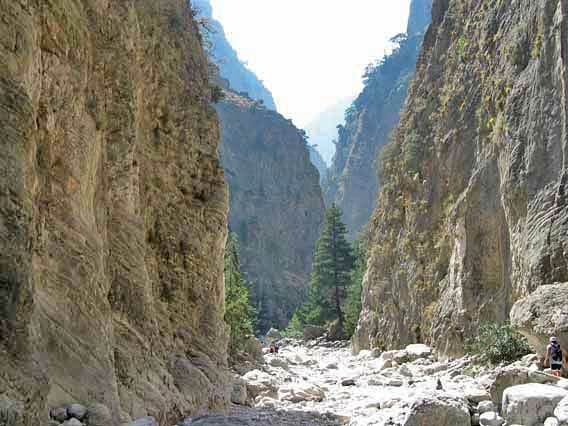 The Imbros Gorge was till the late 19sixties the only way to reach the south coast of Sfakia. It was a natural shelter against invaders, like the Turks and later the Germans. The gorge is as beautiful as the Samaria Gorge, only on a smaller scale. And it is by far more quiet, not having the crowds from there. Many wild trees can be seen, as well as a Venetian reservoir in the middle and a natural archway at the end. The gorge becomes very narrow on two spots, with spectacular views. 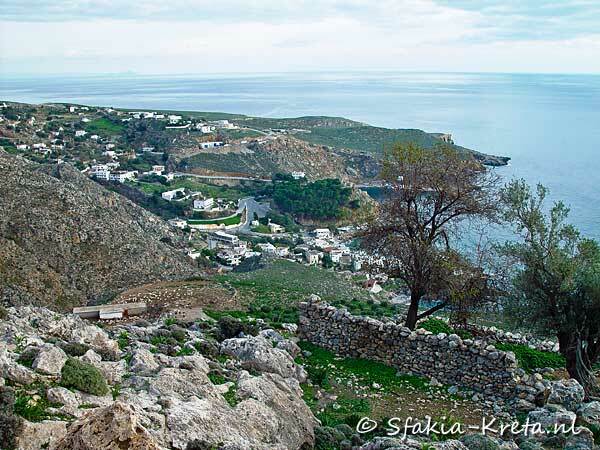 If you continue the road east of Asfendou for 6 km you reach the small village of Kallikratis. 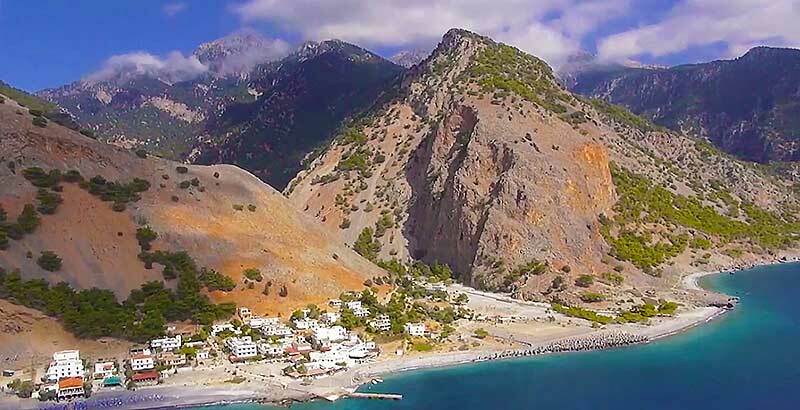 It is a mountainous village at the foot of the White Mountains (Lefka Ori), lies at an altitude of 750 metres and has only a few inhabitants, who live there from May 'till November. They are farmers and shepherds and are very friendly and helpful. It is a traditional village with many well preserved stone houses. 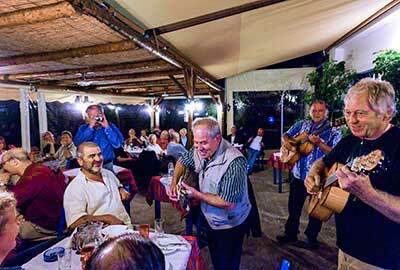 There are some tavernas with traditional food and even some rooms to rent. You can buy wild herbs here. During the Second World War the village was a base of operations for the Greek and British agents fighting against the Nazis. In 1943 the village was burnt down and 29 people were executed after battle. 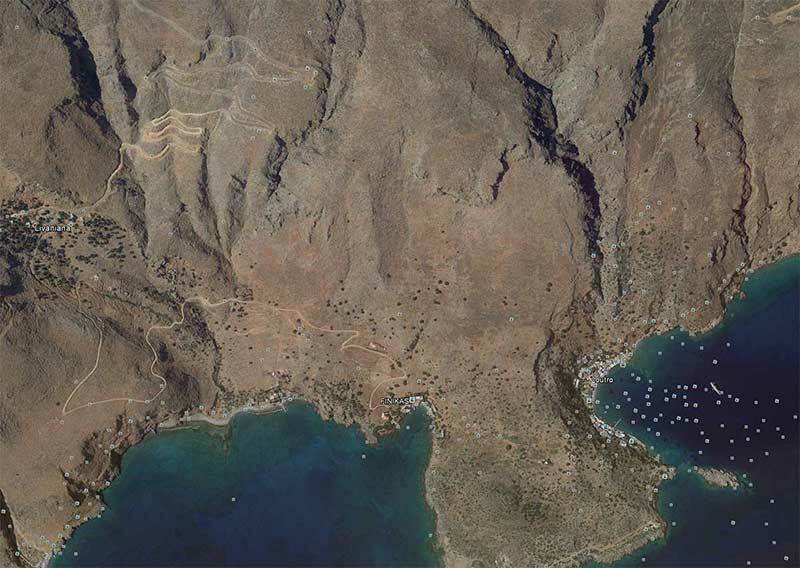 As part of the European Hiking Path E4 the Kallikratis gorge starts here, towards Patsianos. It is very beautiful, but not easy to walk. It takes about two-and-a-half hours. The total distance is 4 km, of which the gorge takes 1 km. 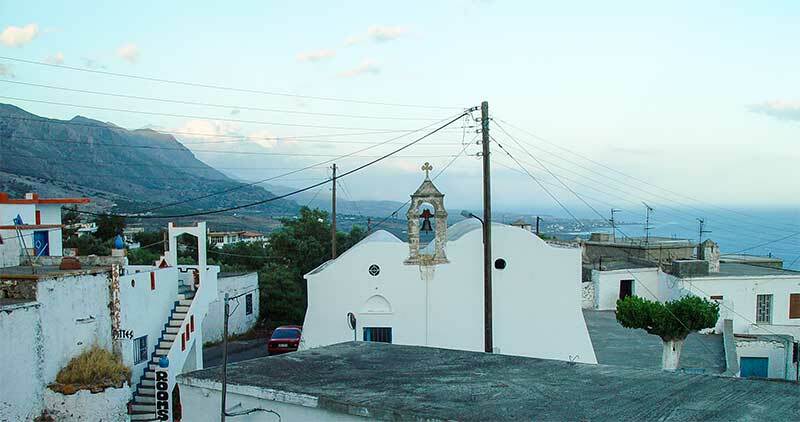 The village lies to the east of Sfakia, at a short distance from Patsianos, north of Frangokastello at an altitude of 120 m. The name comes from the surname of the first settler, Demetrius Kapsodasos, a consultant of Chania. Although a small village, in the struggles for freedom of the nation it gave wonderful heroes. In the village there were also three factories operating in the 1950s. The village is full of olive and carob trees. The inhabitants are engaged in farming, olive growing, beekeeping and tourism. Here you will find a tavern. East, on the road to Skaloti, it is worth visiting the cave of Agiasmatsi with splendid decor, which was an ancient sanctuary. In Kapsodassos lies the exit of the Kallikratis gorge. 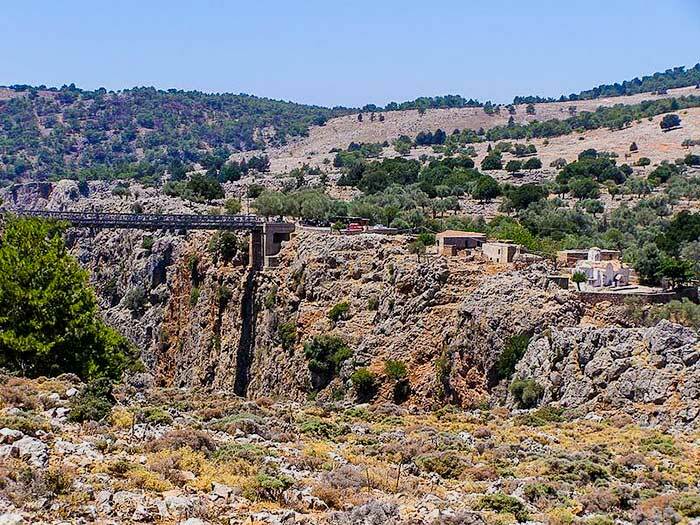 At the end of the Imbros gorge, in a plain bordering the sea, lies the village of Komitades, at an altitude of 200 metres. It has only 75 inhabitants, most of them operating a tavern. All houses are built along the road from Chora Sfakion towards Frangokastello. The village has some interesting monuments to be visited, such as Venetian ruins and the old monastery/ church/ school/ courthouse Thymianis Panagia. There are also a lot of caves. Its name comes either from the Venetian 'komites' (noble men) or from an old family name Komitos. The area gives a magnificent view over the Libyan Sea, with always the islet of Gavdos on the horizon. The hill slopes are covered with olive trees. In history the village was many times destroyed by Saracene pirates, when it was wealthy from the many merchants who lived here. Nowadays you find some rooms and apartments to rent. Specially people who like a quiet and traditional Sfakian village should consider this. The food is excellent: try the Sfakian cheese pie and the thyme honey. 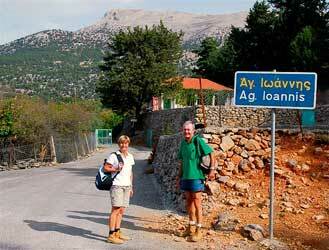 The village lies at an altitude of 250m from the sea, northwest above Finix and 10 km from Anopoli. Access is by road Anopoli-Aradena, left at the intersection before the bridge of Aradena. The village is almost hanging in the southern outskirts of the White Mountains. It suffered the same fate during the revolution of 1770 of Daskalogiannis, and was destroyed. The residents participated in the revolution of 1821 with several losses, as shown by the censuses of 1821 and 1828, when there were 170 and 107 people respectively. There are two adjacent neighborhoods, Panohori and Katochori. The village was abandoned, but recently some homes have been renovated. Continuing south of the village, you will reach the shores of Lykos and Finix. West of Chora Sfakion and only reachable by foot or boat lies the whitewashed village of Loutro, around its small harbour. It has a very quiet atmosphere. In the little bay you can swim or rent a small kayak. The beaches are to the east and west of the village and can be reached by foot. 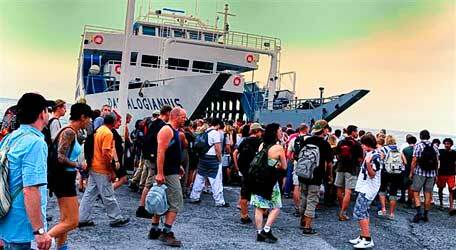 There are several tavernas, restaurants and hotels from basic to very luxurious. The ferries connect Loutro either with Chora Sfakion or Agia Roumeli. On top of the little peninsula you find some Roman, Venetian and Turkish ruins. 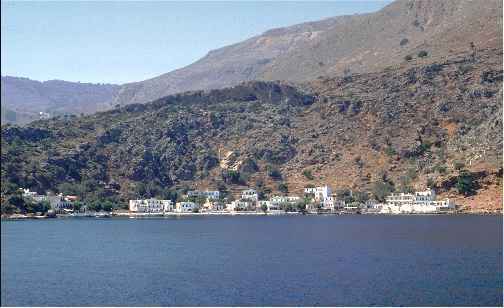 From Loutro you can walk the coastal footpath or up the hills towards Anopoli and on. Higher in the mountains there are several nests of eagles and vultures, which sighting is very spectacular. The village is located between Anopoli and Imbros, at an altitude of 1010 m. It is abandoned for 50 years. Its inhabitants, mainly shepherds, had participation in all struggles for freedom and produced many heroes. From here came the cheesemaker Batzelios Barba, who composed the rizitiko song about the revolutionary Daskalogiannis, from which we derive important information about Sfakia at that time. Access is by dirt road that starts from Anopoli and is 14 km long. You can also walk from Chora Sfakion to Mouri. The village had its neighborhoods Kávros, Litíni, Alonia Kathiana, Koíti (riverbed) and Tsimali. In 1818 it had 350 houses. The views from Mouri of the Madares (as the bare peaks of the White Mountains are called) and the Mediterranean sea are splendid. Nomikiana lies side by side with Vouvas. In the village stands the monastery of Agia Zonis which is built into the huge cliff situated above it. East of the village is the slaughterhouse of Sfakia municipality, which has recently been renovated and serves the farmers of Sfakia and the surrounding areas. In Nomikiana ends the Kapnis gorge. Omalos is located just outside of Sfakia. This village and highland plain offers the entrance to the biggest gorge of Sfakia, Crete, Greece, ánd Europe: the Samariá gorge. The village is located northwest of Frangokastello at 120m altitude. The village's history and its name are derived from the brothers Pátsous. 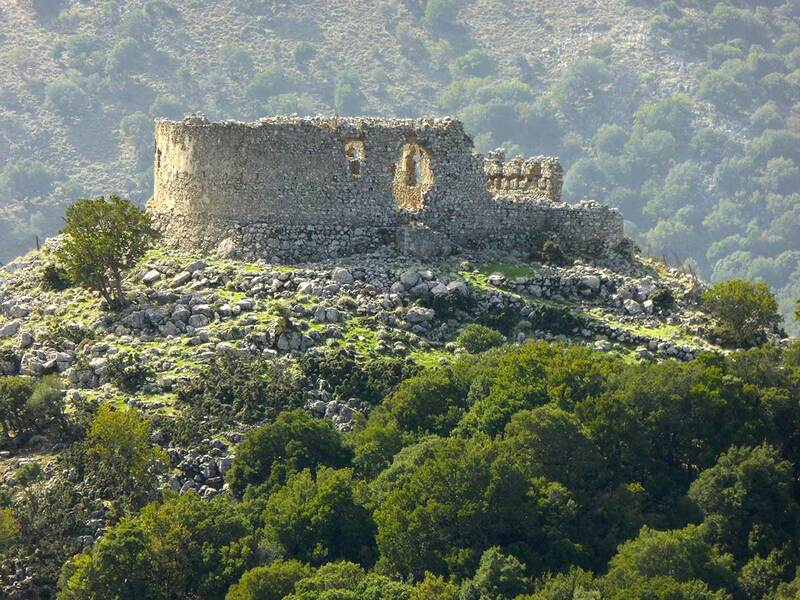 In 1371, when the Venetians began to build the fortress at Fragokastello, under the leadership of the six brothers, the Sfakians destroyed at night, what the Venetians built during the day. Indeed, because they could not arrest them and they had become the fear and terror of the workers, the Venetians set up the army around the castle, and sailed in ships that transported the workers offshore at night. Unfortunately, after betrayal, the six brothers were arrested and hung as an example, one in each tower of the fortress, and two at the main gate of the fortress. The village was the winter home for the residents of the high up Kallikratis. In the 1950s in the village were operating three factories (olive presses with millstones). There is a neighborhood called Prokio. 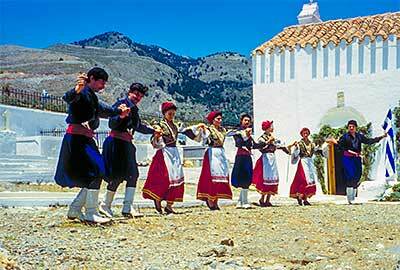 Also to Patsianos belongs the village of Frangokastello. The inhabitants are engaged in farming, olive growing, beekeeping and tourism. The view from the village is breathtaking and, like in front of a amphitheater, lies the large and fertile plain of Frangokastello and the endless sea. The abandoned village of Samaria lies midway of the famous Samaria Gorge (18 km long). It is the biggest natural canyon of Europe. Its inhabitants, almost all of the old Byzantine family Viglis, were forced to move when on the 6th December 1962 the gorge became a protected area. The village is very isolated and had only access to water in winter and early spring. The village is very ancient: still some buildings can be seen, like the church Ossia Maria, which gave name to the gorge and the village. It is from the early fourtheenth century. The gorge starts down from the village of Omalos on the Omalos plain at the foot of the granite Mt. Gingilos (2080 m). First you descent a stepped path cut from the rock with wooden handrails, the 'Xiloskalon' (wooden stairway). It is 2 km long and the descent is 1000 meters! In the beginning the gorge is very wide and you might see some traces of the river which is flooding here during the rain season, which makes hiking the gorge impossible. Therefore, the rain decides when the season for hiking the gorge starts and stops. Usually it's open from the 1st of May until the end of October. 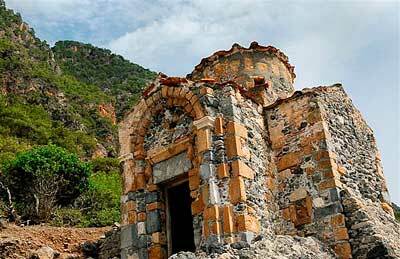 Through the gorge you will encounter several chapels, like Agios Nikolaos, Ossia Maria and in the end some in the old Agia Roumeli, 2 km before the new settlement at the sea. On your way, the gorge will narrow down until you reach the 'Iron Gates' (Sidheresportes) where the opening is more than 300 meters high and only 210 cm wide! Village with less than 100 inhabitants in the plain of Frangkastello, at the foot of the White Mountains. Village with about 140 inhabitants, famous for the monastery of Agias Zonis, built under the rocks. Small settlement on the road to Frangokastello. 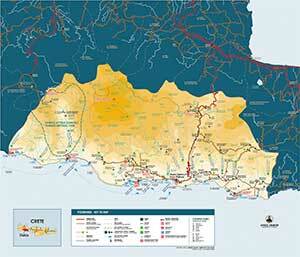 Both islands, south of Sfakia, officially do not belong to the Municipality of Sfakia. Gavdos is under jurisdiction of Selino (Paleochora). Gavdopoula is privately owned by a Sfakian family. Gavdos is an island in the Libyan Sea, 40 km off the south coast of Crete. 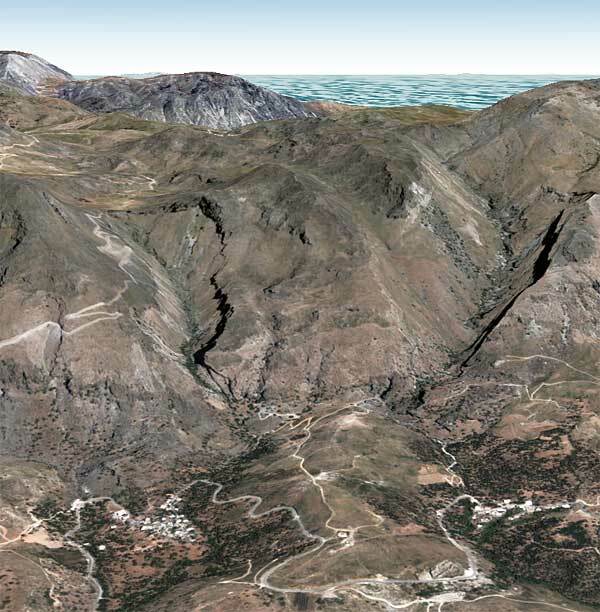 The highest point of the island is at 382 m above sea level, on Gavdopoula it is 133 m. The surface of Gavdos is aprox. 27 km², Gavdopoula 2.75 km². Sea depth between the two islands is approximately 80-100 m, the depth between Gavdopoula and Crete is 1100 m.